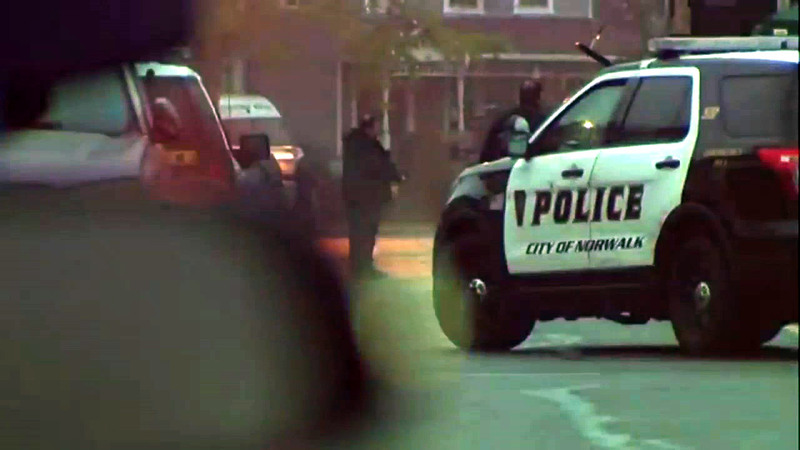 NORWALK, Connecticut (WABC) -- A murder-suicide forced the overnight evacuation of a handful of residents of a neighborhood in Norwalk, Connecticut. Residents of Wilton Avenue were evacuated after police were told by relatives that a 33-year-old woman failed to show up to work. Police were notified that the woman could be seen through the window lying on the floor. Officers attempted to talk to the woman's father, a man in his 50s who was armed, and decided to evacuate nearby residents for about four hours. While talking with the man, the officers heard a gunshot and were able to determine that he had committed suicide. Police then entered the home and discovered the bodies of a man and his daughter. They are treating the deaths as a murder-suicide. The handful of evacuated residents were then permitted to return to their homes. None were injured. The motive for the murder suicide is not immediately known. The victims have been identified as 33-year-old Melissa Wilkinson and 55-year-old Mark Wilkinson.